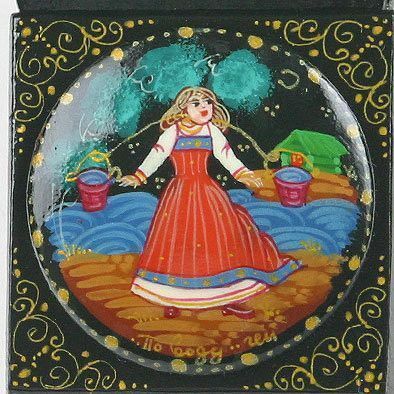 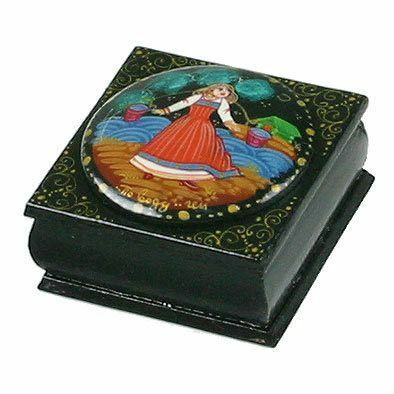 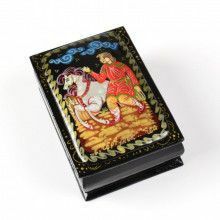 This papier-mâché lacquer box was hand-crafted, hand-painted, and imported straight from Russia. 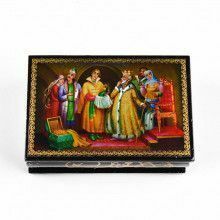 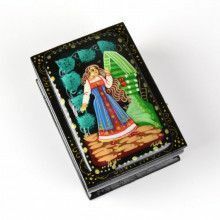 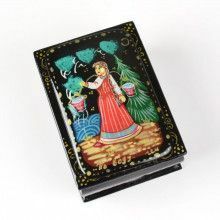 Its extraterior is covered with black lacquer and adorn by an exquisite miniature painting. 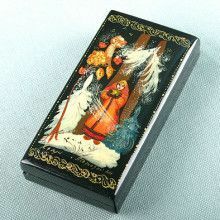 The interior of the box is covered with red lacquer and gold filigree frames the top of the box. 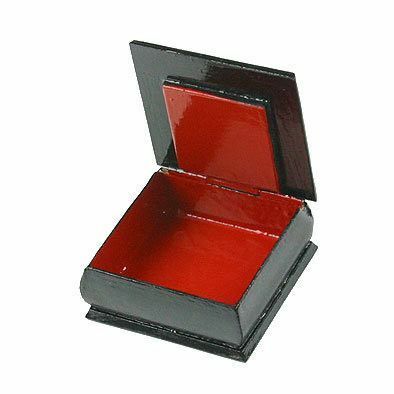 2 1/4" x 2 1/4" x 1 1/4"